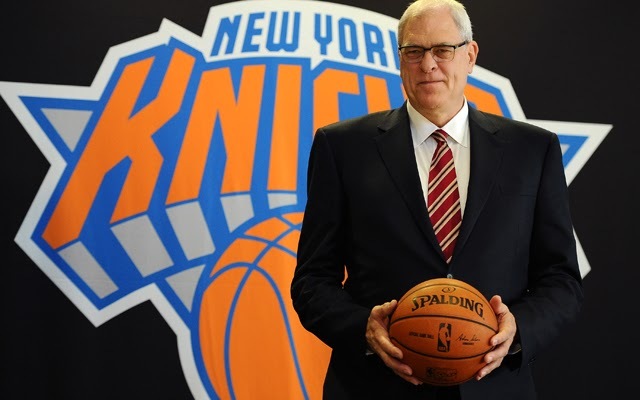 Bruce's Journal: Can Phil Jackson Lead the Knicks to a Championship? Can Phil Jackson Lead the Knicks to a Championship? Today the Knicks announced Phil Jackson as the new president of the team . Right now they have won 6 in a row but have a 27-40 record with 15 games to go in the regular season. Even if they get into the playoffs with a low seed, they would play Miami or Indiana in the first round and would likely be eliminated early. Phil Jackson has proven himself as a winner by being a champion 13 times as a player and a coach. However, he has never served as a team executive and must prove himself in that role. I think the Knicks problem is that they rely too much on Carmelo Anthony for scoring. It is possible that they gave up too much for Carmelo as Denver gets their first round draft pick this year. We'll have to wait and see.